It's been about a month since I last updated you and it would be a dramatic understatement to say a lot has happened since then. God has been working in some powerful ways at Collin, and I can't wait to tell you about it. I'll start by describing the first two weeks of school from August 28th to September 8th: crazy. 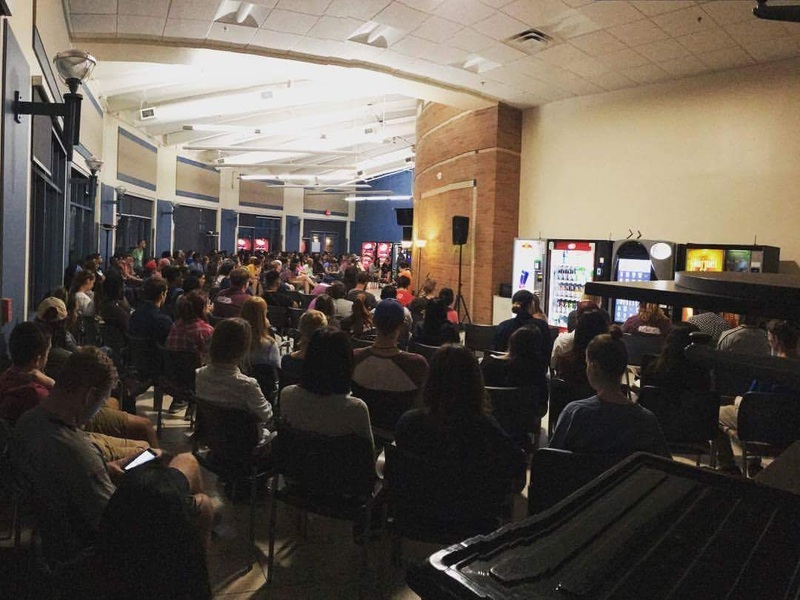 We spent the first two weeks as a community reaching out to our campuses on a daily basis. Every single day we were meeting new people, inviting people to the different events we were hosting, and getting to develop friendships. 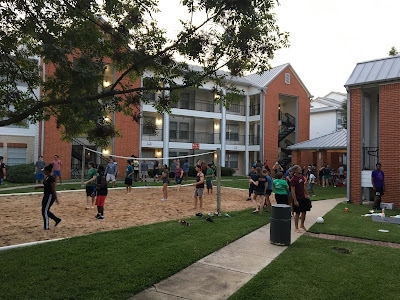 So many of our existing students from last year and incoming freshmen already tied to Focus made time to be on campus meeting new people and inviting them into friendship and community. It was such a cool experience getting to see so many young believers living out their faith and having a blast doing it. On Wednesday and Sunday night of the first week of school we hosted volleyball and tons of students showed up. Our students really walk the walk and it's a testimony to everyone who witnesses them that they truly love Jesus and people well. Core groups have started up and so have the one on one studies we call Focus on Jesus (FOJ). This is a 10 week study of Jesus that two people go through together as they develop a friendship predicated on following Jesus together. These groups and studies have seen a ton of new people showing up and developing community! Speaking of community, Thursday Night Focus has been downright insane these past few weeks. We have reached capacity in the back of the cafeteria due to all the new students showing up to try out Focus for the first time. We hope they'll get plugged in to one of our core groups, start a one on one study with a student leader or member of our community and engage in life-changing friendship that will bring them closer to Jesus. God has been faithful to bring seeking people to our community and we want to be faithful with them. Here's a pic of Focus a few weeks ago! Fall Camp is just around the corner for Collin (this weekend to be exact!) and it's a great opportunity for new people to make friends and for our whole group to become more tight knit. We'll be at Camp Copass in Denton having fun, learning together, worshipping God, and developing friendships that will hopefully last forever. If you would be praying about all the people showing up to Focus, for our faithfulness with them, and for Fall camp and them getting plugged in that would mean so much to us! Thank you so much for making this ministry happen. Without your support we simply couldn't be here having the impact we are on the Collin campuses. Thank you! P.s. Jack is due T-minus four weeks!!!!!!!!!!!!!!!!!!!!!!!!!!!!!!!!!!!!!!!!!!!!!!!!!! Crunch time.